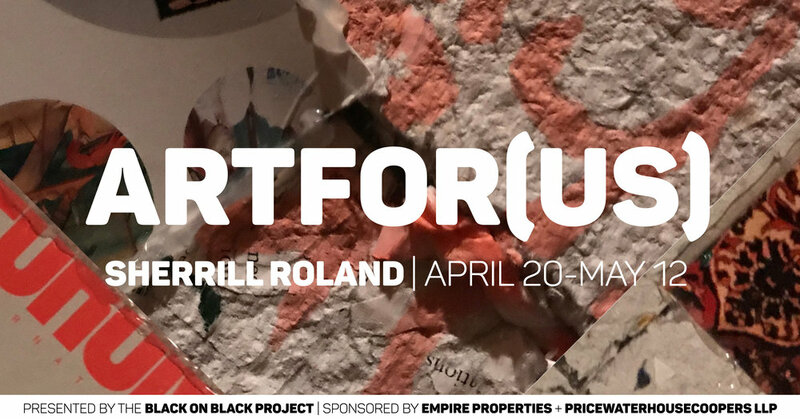 Join us at Artspace in Raleigh on Saturday, April 21 at 4 p.m. for a Community Conversation with artist Sherrill Roland (The Jumpsuit Project) as he talks to the community about his latest body work, "artfor(us)." Space is limited so please RSVP here. "artfor(us)" is a series of works created by Roland that grew out of his experience of wrongful incarceration in Washington, D.C. Using text from greeting cards and personal journals, deconstructed Artforum magazines, and other materials he had access to while incarcerated, he creates an emotionally resonate body of work that expresses his transformative relationship with art and the people closest to him. Detail of “April 2014” by Sherrill Roland. Medium: ArtForum International Apr. Issue 2014, Toilet Paper, Legal Paper Pad, Primer Paint, Kool-Aid, Sharpie Marker.